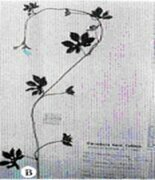 Ethnobotanical Leaflets 14 : 95-107, 2010. 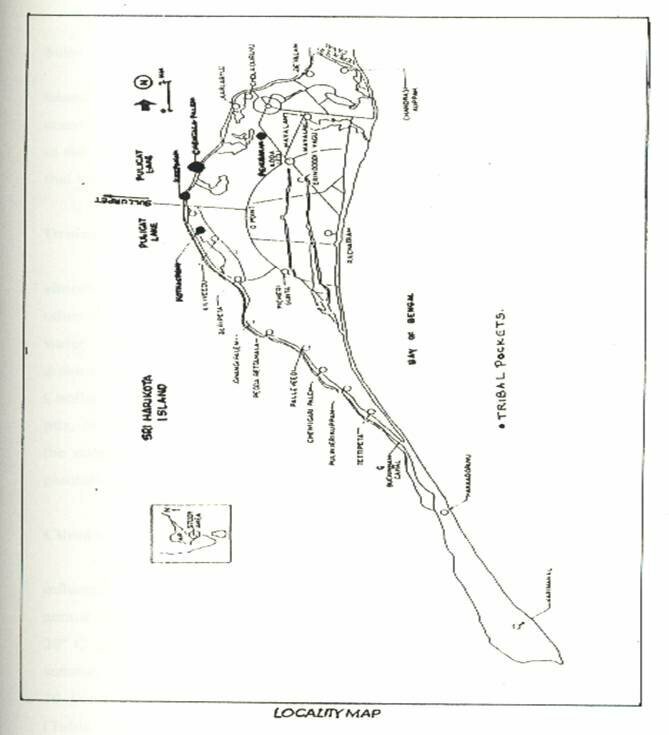 Sriharikota Island in Andhra Pradesh is an elliptical land mass sandwiched between Bay of Bengal in the East and Pulicat Lake in the West. Sullurpet is the nearest railway station which is 18 km from Sriharikota Island and it is on Chennai-Kolkata trunk line and 90 Km away from North of Chennai. An aboriginal tribe called Yanadi dwells in Sriharikota. It is similar to Chenchu community elsewhere in Andhra Pradesh. Inspite of the community being drifted from their natural way of life due to agro-rural development activities, a few aged tribal men are still able to furnish traditional ethno-medicinal data. So far no ethno-botanical studies are conducted are in this area except for a list of 50 plants reported by the senior author and co-researchers (1989). Therefore a detailed study on tribal medicine in this area is undertaken. During this work 190 species are collected having a variety of ethno-pharmacological values. 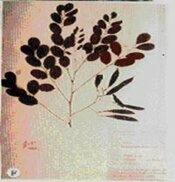 However this article deals with 23 species only, having remedial effect for arthritis and rheumatism. Out of them 10 species having anodyne properties from first hand ethnic information. ����������� An aboriginal tribe called Yanadi dwells in Sriharikota. It is similar to Chenchu community elsewhere in Andhra Pradesh. Inspite of the community being drifted from the natural way of life due to agro-rural development activities a few aged tribal men are still able to furnish traditional ethno-medicinal data. In Sriharikota Island about 450 tribal families are living in 3 colonies viz. Penubakam, Kothachenu and Chengalpalem. ����������� Intensive medico-ethnobotanical survey is under taken in Sriharikota Island since one year. Regular periodical field work is conducted covering all the seasons so as not tomiss seasonal� elements having pharmaceutical value and collected� a large number of specimens in their, respective phonological stages. Ample field notes recorded pertaining to frequency, abundance, edaphic and morphological charters which cannot be deduced from exciccata. Local tribal men are contacted to record data related to medicinal uses, drug preparation and mode of administration etc. After identification, samples are properly processed, mounted on herbarium boards and deposited in Visvodaya Govt. College Herbarium. (VGCH) and a duplicate set at SHAR Herbarium, Sriharikota. During these studies a good number of ethno-medicinal plants are collected. However in this article 23 species having remedial effect on arthritis and rheumatism are enumerated. Latest name followed by relevant synonyms if any, local name and collection number are given. Habit, flowering and fruiting season and ethno-medicinal data are furnished for each species. Ailanthus excelsa, Caesalpinia bonduc, Dodonaea viscosa are under threatened condition owing to degradation of scrub jungles, removal of countryside natural hedges and implementation of agro-rural development schemes. Plants marked (asterisk (*) are reported here first time for their anodyne properties. Their other medicinal uses adopted in the island and elsewhere also are given. (Table 1). Large trees, near tribal habitations. Vegetative.� Fl. & Fr. November- February. Stem bark warmed and applied to give relief from rheumatic complaints. Small trees, common in closed scrubs and forests. Fl.& Fr. : August- September. Seed oil applied on painful joint pains. �� = Breynia rhamnoides� (Retz.) Muell. Small trees or shrubs, common in forests. Fl. & Fr. : February- July. applied for2-3 days regularly to cure swellings of legs and testis. Short trees, common on hedges impenetrable thickets in forests. Fl. : September, Fr. : October. Seed paste applied externally on inflammatory swellings and in arthritis. Ln. : Yetipuccha or Yerripuccha; 8974 RBK. Leaf juice applied on rheumatic swellings. Note: Root was reported as a remedy for rheumatism in earlier records. 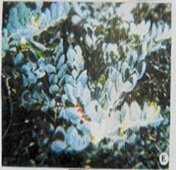 Shrubs, occasional in forests. Fl. & Fr. : December-February. Warmed leaves applied for relief from rheumatic and filarial swellings. ���� = Coccinia indica Wt.& Arn. Climber, common in forests and also cultivated. Fl.& Fr. : September- January. �������� applied for curing rheumatic pains. Tall erect herbs, occasional in open scrubs. Fl. & Fr. : July- September. Trees, common in forests. Fl. : April-May; Fr. : June-July. Leaves used in combination with Dodonaea viscosa and Breynia vitis-idaea (See above). Trees, planted near colonies. Fl.& Fr. : December � June. Ln. : Konnatiteega or Minaputeega or Pacchari; 8912 RBK. Lianes, common in forests. Fl.& Fr. : September- February. Shrubs, common in open dry scrub jungles, Fl.& Fr. : May � December. �������� bath to give relief from rheumatic pains. Ln. : Bandaru;� 9328 RBK. Under shrubs, common.� Leaves suppurative. Fl. & Fr. : October-January. �������� bandaged, to give relief�� from rheumatic pains and swellings. Trees, common in forests. Fl.& Fr. : July- October. Latex applied to give relief from joint pains and muscular pains. Ln. : Peddamanu or Tabasu;� 9196 RBK. Trees, occasional in forests. Fl. & Fr. : October � December. Root bark warmed and applied to cure rheumatism. Root bark and leaves warmed and applied to cure swellings and rheumatic�arthritis. Small trees, common. Fl.& Fr. : August-December. Poultice of leaves applied to give relief from rheumatic arthritis. Planted at Penubakam and Chengalpalem. Fl.& Fr. : December �January. Paste of seeds applied in curing joint-swellings and in rheumatic arthritis. An occasional gregarious climber along hedges. Fl. & Fr. : September � December. Root and fruit paste in castor oil used as an ointment for rheumatic swellings. �Root and fruit paste in castor oil as an ointment for rheumatic swellings. Climber, rare on hedges. Fl.& Fr. : November � February. ����������� warmed and made in to paste. It is applied�� 2-3 days for cure on joint swellings. ���� = Trichosanthes palmata� Roxb. Climber, occasional on hedges.� Fl. & Fr. : October � December. Leaf juice applied to give relief from joint pains. Shrubs; common, abundant in forests. Fl.& Fr. : Through out the year. Root and leaves warmed and applied to cure joint swellings and in rheumatic pains. Table 1. Other Medicinal Uses For Plants of Anodyne Properties Reported First Time from Sriharikota Island. 2. Caesalpinia bonduc ���������� ����Leaves warmed and applied����������� Leaves in liver disorders. ���� CUCURBITACEAE�������� ��� disorders and pains. ����� Ln. : Gilakati/Peddagirakati�� and applied on burnings.��������������� Inflammation. ��� Ln. :Konnatiteega/Pacchari����� applied for� tooth ache on� ����������� from bark for weaving mats. ����������������������������������������������� ��� boils on head ��������������������������������� ���wounds. ��� EUPHORBIACEAE��������� ��� stomach to give relieve pains��������� �� boils, scorpion stings. ����������� ���������������������������������������������������������������������������������������������������and used in diarrhea. ����� = Trichosanthes palmata������� boils. ����� A critical study of 23 plants having anodyne properties collected from Sriharikota Island revealed that 10 plants are first hand report as pain killer plants used by local ethnic tribe.� In addition to the already known conventional uses for these 10 plants additional pharmaceutical uses as reported by Yanadies also are given. (Annexure) Three species viz. under threatened state. They need be conserved in this area and propagated for their proper utilization and exploitation. ����� The authors are thankful to the Chairman, DOS-ISRO, Bangalore for Financial assistance to conduct the project. He is also grateful to the Principal, Visvodaya Government College, Venkatagiri. Director, SHAR Centre, Sriharikota for providing facilities and encouragement, at Laboratory and in the field respectively. Authors are thankful to Dr. V. Veerraju, Head, C&LD. Division, SHAR Centre for his keen interest and consistant support to conduct the field work smoothly. Authors also extend their thanks to the Yanadies and other tribals for their co-operation in furnishing information during field work. Anonymous, 1948-76� The Wealth of India (Raw Materials). Vol. 1-11. CSIR, New Delhi, India. Chopra, R.N., S.L.Nayar & I.C.Chopra, 1956� Glossary of Indian Medicinal plants. CSIR,� New Delhi..
Dastur, J.F. (3rd. ed. 1970)...� Medicinal Plants of India & Pakistan.����� 1 - 211. Pub. Tarapore vala� Sons & Co. Pvt. Ltd., Bombay. Hemadri, K. 1979. Medicinal Plants from Andhra Pradesh. Telugu Akademy, Hyderabad. Jain, S.K. (ed.). 1981� Glimpses of Indian Ethnobotany. Oxford & IBH. Pub. Co.� New Delhi. Rama Rao, N. and A.N.Henry. 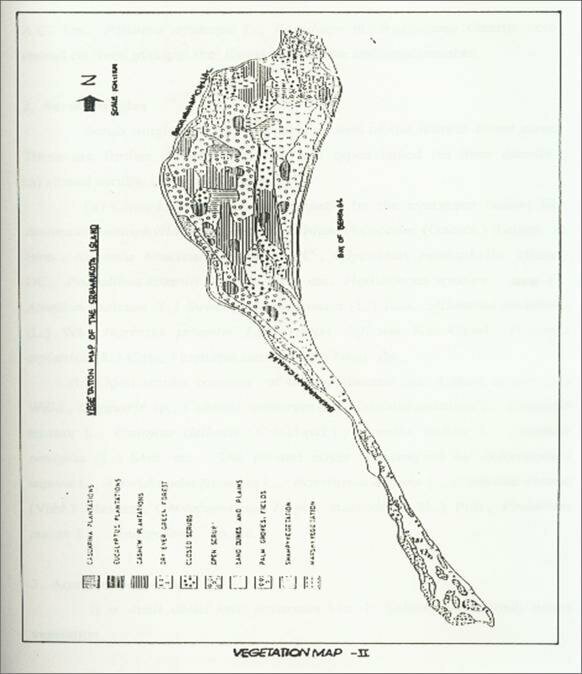 1996� The Ethnobotany of Eastern Ghats in Andhra Pradesh. India..pp.1-259.� Botanical Survey of India, Calcutta. �Sudarsanam, G. and N.S. Balaji Rao. 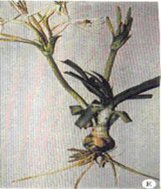 1994� Medicinal Plants used by the Yanadi tribe of Nellore district.� Andhra Pradesh. India. Bull. Pure and Applied Sci. 13b : 65-70. # Presented at National Conference and Annual meeting of I.A.A.T., Organized by Dr. B.R. Ambedkar Marthwada University , 16-19th October , 1997.